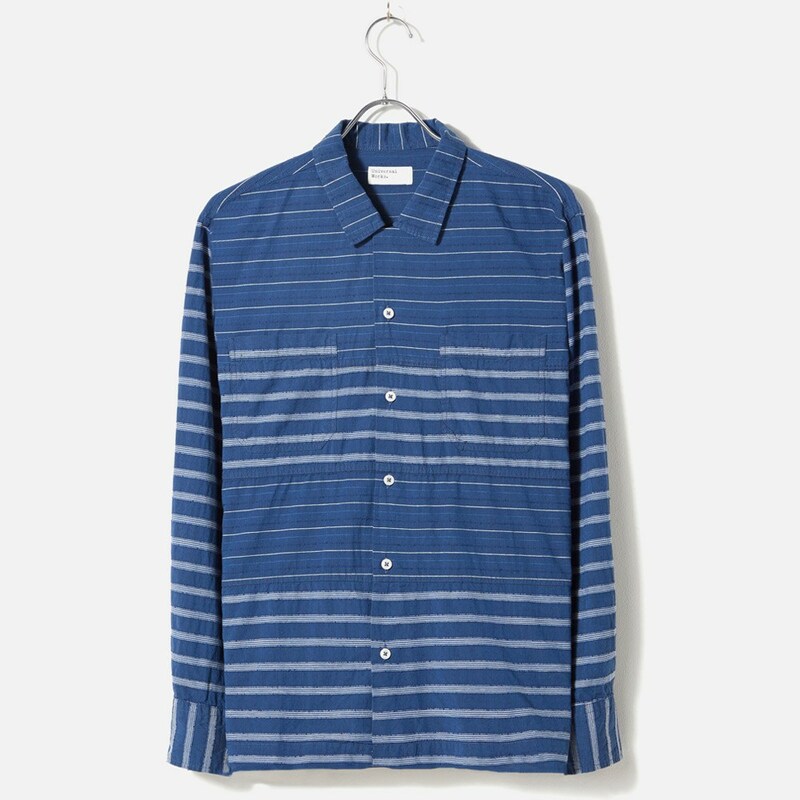 The Universal Works ‘Panel Shirt’ is a classic 50’s American style casual shirt with a camp collar, contrasting panels running horizontally through the body and straight cut/hem. The ‘Panel Shirt’ takes inspiration from old American gas station uniforms and Hawaiian aloha shirts, with a touch of mid-century elegance thrown in. Jacquard is the name given to a machine that simplifies the act of creating complex and intricate variegated patterns onto fabrics. Our Jacquard cotton is lightweight and fine, perfect to wear during the hot summer days. It features an intricate jacquard-brocade pattern. • slightly longer than ‘Garage Shirt’. • 2 reinforced chest pockets. * 6 button front w/ concealed top button. • straight cut and hem.